Americans for Safe Access will launch a standards and certification program for medical cannabis businesses across the country this fall, a long-overdue move that could boost the industry’s legitimacy, credibility, transparency and professionalism significantly. 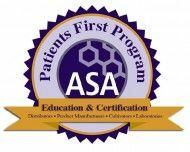 The Patients First Program incorporates the best practices and general product standards designed by the American Herbal Products Association (AHPA) for its industry, but tailors them to MMJ. Americans for Safe Access plans to roll out the program and begin accepting applications from the general cannabis business community in September. The program is also intended to help doctors feel comfortable recommending cannabis in general, as they can advise their patients to seek out products/services that have been certified. Additionally, ASA hopes the program will help lawmakers craft MMJ regulations and laws. 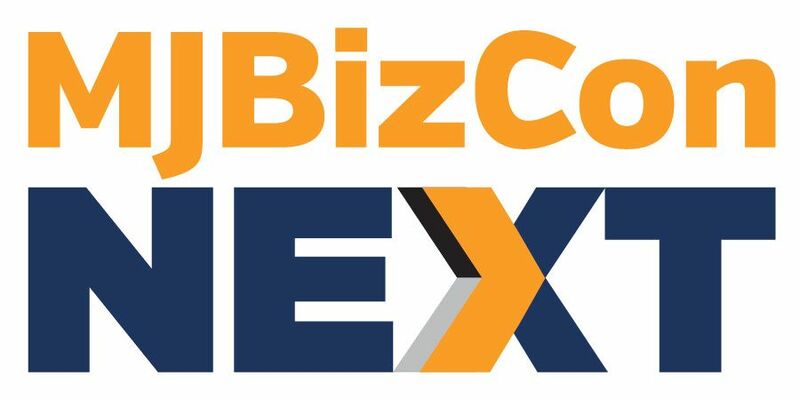 The implications for the cannabis business community could be huge. If the program takes root and becomes widespread (which is no guarantee given that similar attempts by other groups have failed in the past), it could draw a clear line in the sand between quality and questionable businesses. And many consumers may very well seek out certified businesses over those that have not met the criteria or do not participate. Certified companies will be able to use a seal of approval in advertisements and packaging as well as on their websites, giving them an advantage over competitors who don’t participate. They’ll also receive discounts for ASA programs covering everything from raid and robbery preparedness to employee training, as well as government relations and marketing support. The credibility of any certification program is tied to the methods and processes used to vet companies and their products as well as the objectiveness of the process. That will ultimately determine whether the industry adopts these standards as its own and enough businesses participate. ASA said its program is comprehensive and extensive in that regard, and officials stress that the third-party nature of the certification process should alleviate concerns that larger industry players will influence the criteria in their favor. Businesses must also submit to one or more independent audits/inspections, train employees, submit their product for testing, and take corrective actions if needed. ASA will review materials and formulations and assess manufacturing and/or management processes to ensure they meet safety, quality and performance standards. The entire process could take anywhere from a couple of weeks to a couple of months. Americans for Safe Access will work closely with businesses that don’t meet the criteria by giving them time to implement changes and fix the deficiencies. “We really want as many businesses to qualify as possible,” Sherer said. “This isn’t something intended to create divisions or benefit only some businesses. These standards were written by the industry” to help the the sector as a whole. In terms of costs, certification will run $5,000 a year on the low-end to $20,000 annually on the high-end. The exact amount depends on several factors, most notably the size of the operation and its client base as well as the number of staff. Much of the costs to administer the program will be directed towards dealing with complaints from customers about a certified business, Sherer said. If a company has relatively few complaints in its first year, its certification costs will be lowered substantially. Cultivation operations – The certification process will include document review, a label review to verify product and marketing claims, a contaminant review, testing to ensure there are no unsafe levels of contaminants, and a facility inspection. Manufacturing, packaging and labeling – Companies must verify the identity and quantity of ingredients declared on the product label; demonstrate that the product does not contain undeclared ingredients; and certify the product does not contain an unacceptable level of contaminants. Dispensaries – MMJ centers must demonstrate that they are committed to state and local compliant dispensing practices and verify adherence to currently recommended Good Distribution Practice for the medical cannabis industry. Testing facilities – The certification process will include document review, equipment and standards review, testing verification, and a facility inspection. Nice now besides the thousands of dollars spent on lawyers, now we also get to pay $5k – $20k. let me guess no matter how many hoops they have us jump through. they still shut us down anytime they want. I am so glad we are rolling out this program. This is something patients really want to see, and it will be great for the emerging industry. This is another rip-off from the ASA! It is a way for them to make money off the industry for doing absolutlet nothing! They are some of the biggest profiteers of the mmj industry but noone talks about that!!!!!! asa is a rip-off that only wants to make money and doesnt help the cause at all!!!!! Why are the patients who REALLY need medical marijuana not able to afford it, and why is there no coverage about the inaccessibility of cannabis for those on Social Security Disability??? This is outrageous!!! Up to $20K??? To EELCLOUD…these ridiculous costs are some of the reasons prices of medical products are unaffordable. To Louis & Jack…well said and on point! To Don Duncan…why weren’t the communities/patients asked what they want before these standards were made up in an ASA board room? I certainly didn’t hear a word about input for standards being drafted in the Capitol City area. How would a business become state compliant if it’s impossible to get proper permits or even a legally zoned building to operate out of? Does compliance mean paying taxes? I’m not really in favor of paying taxes without having any real rights. To pay taxes and not get any protection from prosecution seems a little weird to me. Not to mention not being allowed to write off standard business expenses. I like the idea of having a industry standard, and see no problems conforming to safety measures. In order to be taken seriously we need to self regulate and show responsibility. But until we can get permits that are both state and federally accepted I’m not really down for taxation without representation. We’ve been shown time and time again that they will not play fair,and that they will not accept state compliance as good enough. They like the idea of being able to just walk in a and take anything they like and then act like they’re doing a favor if they don’t prosecute. All of that said, I very much appreciate what ASA is doing. Thank you for fighting for the people who can’t put their necks out there. What qualifies ASA for anything they are claiming to certify? What edible companies have they run? What quality control standards are they familiar with as it relates to edible manufacturing and cultivation? What laboratories have they certified? Can they read the data from a GC or HPLC? What is ASA qualified to do outside of “Employee Raid Training?” Now they want $5000-$20,000 for “certification?” Please…. Laughing to hard to comment. ASA is a big scam! First of all they are NOT the first to offer cannabis certification! In fact, ILG has been offering a quality certification program for the cannabis industry for nearly a decade! Including standards for cultivation operations, purity testing labs, growing facilities, manufacturing, packaging & labeling, and dispensaries. Moreover, they certainly do NOT charge anywhere near $20K from what I understand. Better still, you get value-added… not just a piece of paper on the wall costing $20,000 like with ASA. Who is really behind the ASA is ANAB and ASQ (the largest monopoly in the standards industry) stealing millions in revenue for doing NOTHING OF VALUE! ASA take your ripoff certification and stick it where the sun don’t shine you crooks! I support ASA but on this issue I’m afraid I just can’t get behind it. First ASA is a NGO, has no regulatory powers it’s a non profit so it’s all voluntary. What do they plan on doing with this financial windfall? Would they give up being a non profit and become a money making venture? We need regulations but they need to be official and governmental. Again, I support ASA and have given them about a fifteen hundred dollars in the last 3 years because they have helped win numerous cannabis cases that have helped move the laws in our favor. They deserve our financial help but these fees are over the top and the information they want to keep on cannabis business entities can put us in danger, how will they protect that info from law enforcement? I see no reason to pay any private firm for their certification and approval. We do complete lab testing on our cannabis medicines and that is something all providers need to do and many could benefit from learning proper procedures but those proper procedures must be laid out by governmental, statutory rules perhaps by the health department or similar agency not a law firm, consultant or non profit.